SPAL Shaved Door Kit UNIVERSAL - Dezod Motorsports Inc - Home of the automotive performance enthusiast since 2002. Our Remote Seven-Channel Shaved Door Kit allows for use in those installations with existing door actuators or solenoids. 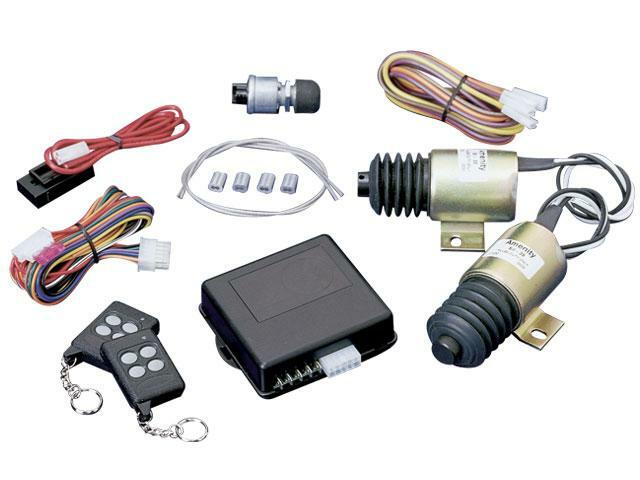 Its seven-channel receiver can also be used to control up to seven functions on the vehicle by remote. As the caliber of customizations continues to advance, the need for quality shaved door components has kept pace. Our full line of shaved door kits and accessories offer installation specialists both dependable operation and the latest technology available. The SHAVED-40 comes with a seven-channel receiver, two remote transmitters and two solenoids with 40 pounds of pull, enough to open any vehicle door on the market today. All hardware necessary for installation is also included.